The Mars Society convened the 16th Annual International Mars Society Convention on the campus of the University of Colorado in Boulder from August 15-18, 2013. The annual four-day event convened key experts, scientists, journalists and policymakers to discuss the latest news on Mars exploration and efforts to promote a humans-to-Mars mission in the coming years. 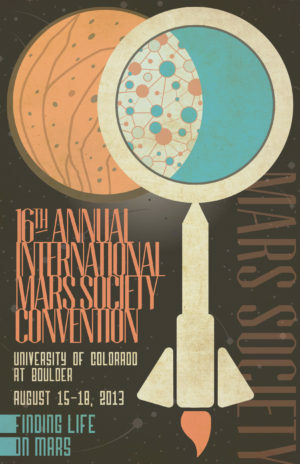 To view all of the videos from the 2013 Mars Society convention, please click here. To view the list of scheduled plenary speakers for the convention, please click here.